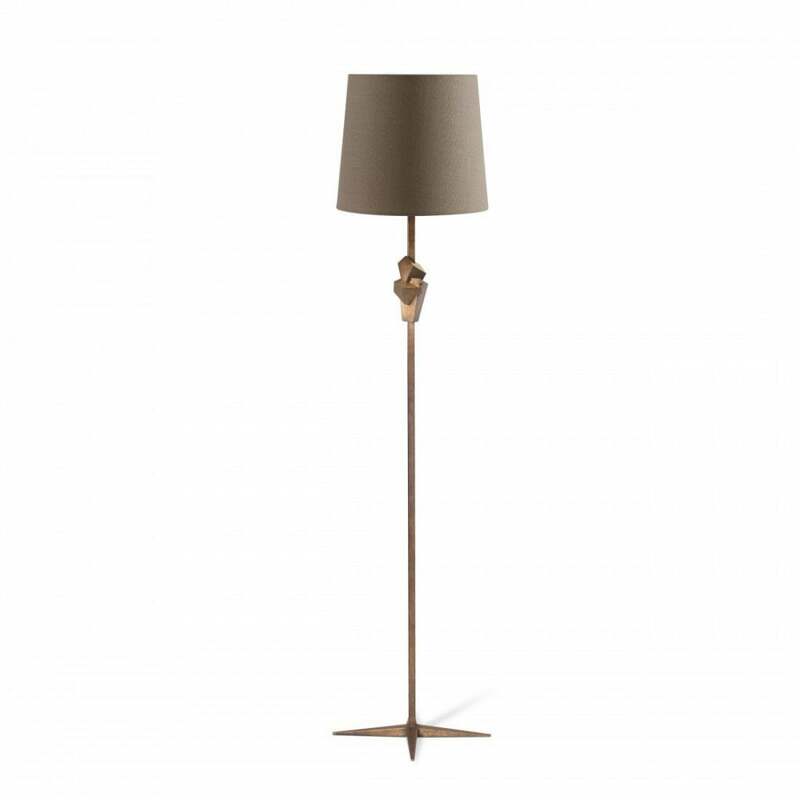 Take an element, shaped like a piece of crystallised quartz, suspend it on a sturdy square stem and place it on an elegant base and the result is the extremely smart Oblique Floor Lamp. The crisp lines and facets of the element are enhanced by a two-tone finish, one of Porta Romana's heavier layered decorative finishes and a brighter, polished tone. This allows for the light to reflect playfully and show up the Oblique's best features. Available in New Bronze with Bright Gold.